It’s my 25th post on this Blog. Hope this one doesn’t disappoint just like the others didn’t. I definitely picked up a thing or two over this period of time and distance. Let’s jump right in!! 1. You are the Average of the 3 riders you ride with! My first two 200 Brevets, I used to either listen to podcasts or music while Cycling. This, to a large extent had an effect on my pace because I didn’t set a standard for me push for. Both the Brevets ended up being close calls. The first one I finished 7 minutes late and the second one I finished just a minute early. And then in the 300 BRM, I managed to finish 35 minutes early to the deadline. And the 400 BRM, an hour early. What changed? After learning from my mistakes, I decided to set myself a target pace and what better way to ride fast than to ride with faster riders. I joined and tried to be as close as possible to three other riders who were riding together – Mr. Ranjit, Ashish and Karthik. Though they were a bit fast and I couldn’t keep up with them at times, I still managed to be in close range of them reaching checkpoints just 3-5 minutes after they did. In the end, finished 35 minutes earlier along with them. This worked in 400 BRM as well. I maintained a good pace till the halfway mark as I tried to be in close range to Ashish. I finished 60 minutes earlier this time. And in the 600 BRM, I tried to be in close range Colonel Devender Singh after the halfway mark. It was very testing as I had constantly push myself to stay close by. That’s what setting a standard to reach does to you. You are constantly in check of yourself and you don’t slack seeing the other cyclists move past you. Evaluate yourself. What are the 5 books you recently read, 5 hours you recently spent on, 5 people you most hangout with, 5 favorite movies of yours, 5 websites you most visit, 5 Youtube channels you most watch and the list goes on. When you set a new goal, increase your proximity with the people whom you think have already reached there. Want to improve your technical knowledge, spend time and ask questions to people who already are strong at it. Want to improve your confidence, spend time with people who are already confident and learn the nuances from them. Just after starting the 400 km Brevet, I was riding alongside Ashish and he casually asked me how many practice rides I had done leading up to the 400. 20 kilometers is all I had done in the 20 day gap between 300 and 400. He was slightly shocked and reprimanded me for not respecting my body and pushing it all of a sudden. And in fact I did push my body. It couldn’t anticipate what was coming. And my body did react. Cramps, knee pains, extreme discomfort because I was wearing new cycling shorts directly on the day of the Brevet. I couldn’t correctly time my sleep and I was riding alone most of the Brevet. Another mental block I had was that I didn’t know how to fix a flat in case it occurred. I would have to wait for a good Samaritan to help me. And another huge mistake was not carrying a hand pump along with me. Almost all riders were having a hand pump of different valve size(Presta) and the bike I was riding had a Schradder valve. In case I had some air issues or a flat in the middle of nowhere or in the night, I might have had to drop out from the Brevet. I didn’t want to repeat the same mistakes again. So leading up to the 600, I tried to as prepared as possible. Along with Ashish, I did a 100 km night ride to Yadigirigutta and back, a week after doing a 50 km night ride along Hussain Sagar. All these along with small distances of 10-15 kms plus a night ride a day before the Brevet and also a warm up ride the morning of the Brevet. A total mileage of 250 kms. I was now confident of my body handling itself. I also gathered all the necessary equipment which I didn’t previously have. Goggles, wind cheater, patch kit, hand pump, mechanical kit. All set even for a mechanical failure. That boosted my confidence a lot. When you prepare for the worst case scenario, you are completely confident. And you enjoy the ride! Next time you have an interview, do a background check. Prepare for all the questions you might be asked. Next time you are giving a speech, practice as much as possible. You end up focusing on the content and message rather than on your irrational fears. 2nd 200 BRM. Last final stretch from the start of Microsoft Hill to HBC, Gachibowli. I looked at my phone for one last time to check the time and the distance. Just enough time to ride easy and reach there. I then put my phone back in the pocket. Since I was drained of energy already, the first thought that came to my mind was to take it slow on the hill. But then, I had a premonition- that something similar to my previous 200 BRM where I was late by just 7 minutes might happen. I pushed through the hill, raced through the traffic – all this while not having an idea about the time. I didn’t slack even for a bit throughout the final stretch. And when I reached the finish, I got the shock of my life. I was just a minute early to the finish. What if I slacked even for a bit? What if I let my legs rest even for a while. This taught me a very important lesson. About being and giving your best even when you think you can slack. In this time of cut throat competition, being your best at all times is not a Luxury but a necessity. Not an option but a requirement. Next time you think of slacking. Even a bit. Maybe take a nap or facebook scrolling. Don’t. Be the best version of yourself at all times to be the BEST! I talked about my 2nd 200 BRM. But my favorite and most memorable was my first 200 BRM. Background: I wanted to become a Randonnuer before the Audax season ends in October 2017. I didn’t have a bike of my own back then(even now :p), so I borrowed it from my friend. For the same reason, I wanted to complete the Brevet on time at any cost and do the remaining brevets when I get a bike of my own. I was a bit overconfident at the start, that I complete half an hour before the deadline. I even asked my dad to reach the venue early to pick me up. I had to complete the last 10 kilometres in the last half an hour (that’s how I remember it). It seemed impossible to me. I had run out of both food and water to get back the energy I now had run out of. Strong urge to give up. Should I? I mustered every ounce of strength. After repeated screaming whenever my body pleaded to give up, I pedaled and pedaled and pedaled. Unexpected traffic in the last 3 kilometers came as a surprise but I still pedaled and pedaled whizzing through the traffic. I reached 7 minutes late. Though the disappointment occupied my mind for the initial hours, upon later reflection I was amazed at how I pushed my body’s limits. Never before did I do anything of this sort. It was revelation to me. That our body and mind can be pushed beyond their limits. I was so passionate of this incident that when I was competing in a major public speaking competition by Toastmasters, this was what I talked about. And I ended up getting the 2nd place with a huge trophy and a macbook air as the prize. Do check out the speech to realize the importance of having a strong WHY and about pushing through your limits. Next time, you think you have reached your limit. Think again. You haven’t! Be it in an interview or a negotiation or feeling tired of studying/learning. You can always up your ante. Sometimes, you might be disappointed by your result at one particular point of time. But if you carefully pick your learnings from it, it might set you up for later success. A favorite failure in fact. You only have the right to focus on your efforts and not on your results and rewards. Even the Gita echoes the same. The results are never in our hand(even if you think otherwise), because we are not the center of the universe and a lot of factors come into play. For me, cycling is going through two distinct phases. The Flow: smooth downhills(or any downhill for that matter), relaxed talks with fellow riders, having the company of a group, tasty food and snacks you eat upon the pretext of burning calories, nightly escape from the sun. It’s easy to cycle when you are in your Flow. Then comes the Ebb:the testing uphills, unforgiving sun, chilling cold, cramps, knee pains, wrist pains, all kinds of pains, riding alone for large stretches without any moral support you get when you see another fellow cyclist, flats and mechanical failures, sour cravings because all the snacks you have are sweet and much much more. This is when you get tested and a chance to push your limits. In the 400 BRM, I was riding alone in the dark for 30-40 kilometers at one particular stretch around 2 pm. No one in sight. Mental pangs. I was in a emotionally weak state then. That’s when Colonel Devender Singh Duhan passed along and when I shared this, he said “You might think that riders ahead of you have it easy but remember that everyone riding their Brevet has their own challenges they have to face. 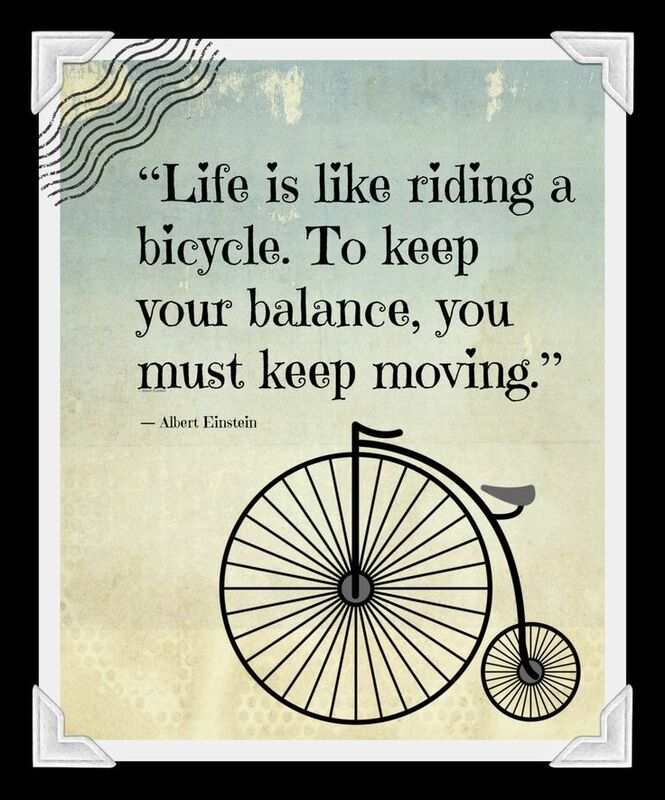 You just got to keep cycling”. Next time you have a bad interview, try to focus on you what you did wrong rather than waste your remaining day brooding over it. Next time you feel you are having a bad day, don’t go into a self negative loop. Stretch, walk, jog, shower- do whatever to keep you moving. I was hesitant in doing the Brevets because I didn’t have a bike of my own. It was very difficult for me to request repeatedly. Vijay Sir was kind enough to lend me his cycle for all the four Brevets. Most of the required things for the Brevet- be it spare tubes, lights, patch kit, hand pump, etc. I borrowed all of them too. I had to request multiple people. There were times when I was a lot far from the starting point and I had to cycle there. I wouldn’t have been able to on time. I had to call out for help from passing by trolleys and mini trucks. Some rejected but there were many kind hearts who offered to drop me nearby without expecting anything in return. A lot of us hesitate at asking. Be it with the doubts in our class or in times of need. The universe doesn’t just hand you things. You have to go out and ask. Ask for help if needed. Because there are many people who might have gone through the same and they wouldn’t mind helping you if you show the required determination. 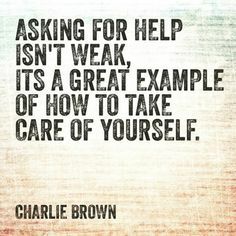 Asking for help does not make you weak! Next time you need help, ask for it. Don’t shy away. 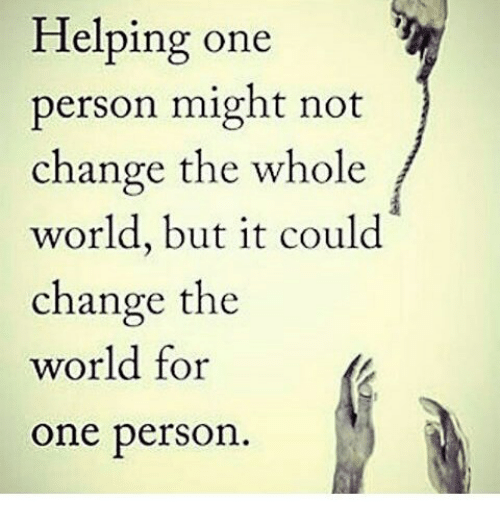 We are all here to help each other. Just receiving help is not the end. Whenever you have the chance give back to the society(or your cycling community). It should be a Chain Reaction as Mr. Sanjeev said when speaking about how riders who join a club bring in their friends who bring in theirs and thus spreading the joy of cycling. If you liked this format, do check out my previous post: 21 Life Lessons at 21. And as always, Don’t forget to follow my blog if you haven’t already. Lot’s more interesting stuff to come.